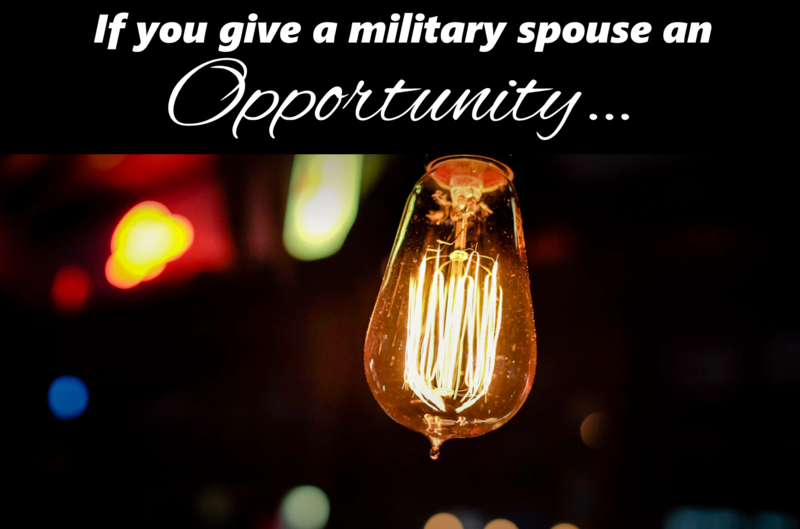 If you give a military spouse an opportunity…. 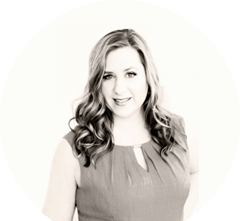 If you give a military spouse an opportunity, they’re going ask when they can start. When you give them a chance, they’ll probably exceed your expectations. When they’re finished for the day, they’ll give you a big smile. Then they’ll get home and want to look in the mirror to remind them, that this is really happening. When they look in the mirror, they might notice a uniform in the corner. So they’ll probably fold it up and take it in for dry cleaning. When they’re finished dropping the uniform off, they’ll probably go grocery shopping. They’ll lug in the kids with efficient precision. They might get carried away in the wine section, but they’ll share it with friends. They may even end up cleaning the house when they get home as well. When they’re done, they’ll probably want to take a nap, but won’t have the time. Instead they’ll help kids with homework, work on their volunteer project, and make dinner. They’ll crawl into bed, making their kids comfortable because daddy or mommy is working late or deployed. Their kids will probably ask them to read them a story. 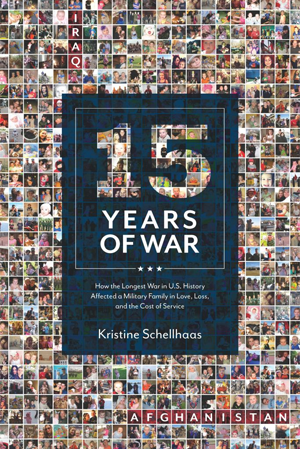 So they’ll grab a picture book so that their kids remember what their military parent looks like. When their kids look at the pictures, they’ll get so excited they’ll want to write a letter of their own. They’ll ask for paper and crayons. They’ll draw a picture. When the picture is finished, they’ll want to hand-deliver it to their missing parent with a hug. Then they’ll decide to tape it to the fridge for the next time their parent comes home. Which means they’ll need to get hugged just a bit tighter that night. They’ll look up at the military spouse sweetly and it reminds the spouse that they’re grateful. So, the spouse smiles and understands that life can be demanding, but her tribe is worth it. And chances are if they’re given an opportunity, they’re going to crush it. Love! Sharing with our military spouses at Military Spouse Association of Camp Pendleton!